Frankfurt Airport, one of the busiest aviation hubs in the world serving 60 million passengers a year, is today (08 July) celebrating 80 years since it opened in 1936. 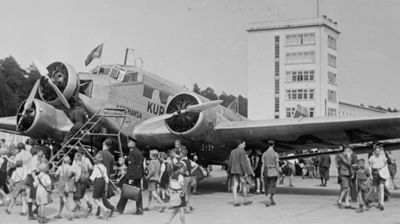 Exactly 80 years ago, Frankfurt Airport (FRA) officially opened at its current location. Over the time, Frankfurt Airport has become one of the world’s most important air transportation hubs thanks to its favourable location in the heart of Europe. To celebrate the 80th anniversary, Fraport – the owner and operator of Frankfurt Airport – is looking back at the successful development of its home-base airport. At the opening on 08 July 1936, nobody could have foreseen how the “Rhein-Main airport and airship station” (as FRA was then called) would develop over the next years and decades. There had been significant growth in civil aviation since the First World War. Thus, in 1937, the airport already counted almost 71,000 passengers. “But at that time, the airport still looked very much like a farm,” emphasises Markus Grossbach, head of the Fraport central archive. “Sheep grazed on the airfield and the green areas were kept free of woodland growth by farming potatoes.” The start of the Second World War brought an abrupt end to the development of international aviation. Around 2,000 bombs fell on Frankfurt Airport during the war, almost completely destroying its infrastructure. After the end of the war, air traffic in Frankfurt increased very rapidly again thanks to the reconstruction of the airport with the help of the U.S. military. “Even before normal political life had developed, former employees of the airport were working with pickaxes and shovels to save existing material from the ruins. It was very important to the population and airport employees to rebuild their gateway to the world,” says Grossbach. 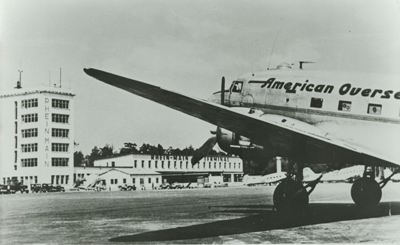 The first civilian aircraft landed as early as May 1946. Following the Berlin Blockade, the airport was part of a large-scale humanitarian mission, when dozens of American “raisin bombers” carried food and coal from Frankfurt and other airports to West Berlin during the Berlin Airlift. That way, supplies were provided to the city’s population, which was cut off from all possible supply routes by land. The number of passengers has grown continuously since regular passenger traffic resumed in 1950. Ten years later, in 1960, the airport already served 2.2 million passengers. By 1980, the passenger number had increased to as many as 17.7 million. Over the next ten years, this figure doubled again to almost 30 million passengers. Today, the figure is twice as high again: last year, Frankfurt Airport welcomed a total of approximately 61 million passengers. The growth in passenger numbers was accompanied over the decades by Frankfurt Airport’s ongoing expansion. 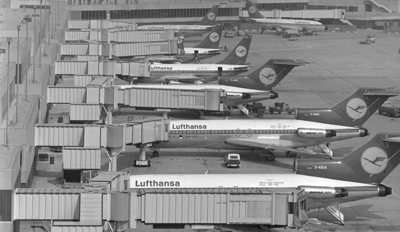 Following the construction of new runways and passenger terminals, Frankfurt Airport became the home base of Lufthansa, which was newly established in 1953. The expansion of the airport reached an unprecedented pace in the 1970s, when today’s Terminal 1 and the airport railway station were opened, in tandem with the world’s largest and most efficient baggage conveyor system. As passenger numbers continuously rose, work began on the construction of the then controversial Runway 18 West, which became operational in 1984. Major infrastructure projects in the 1990s further boosted the airport’s growth. 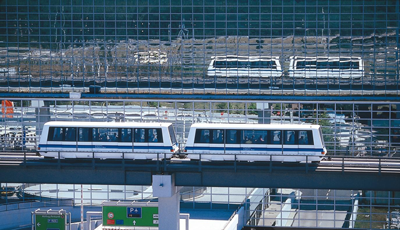 The opening of Terminal 2 and the Sky Line people mover, which connects the two terminals, enabled FRA to accommodate more than 100 airlines. Airmail and cargo traffic – two important business segments that generally receive somewhat less public attention – also experienced strong growth at Frankfurt Airport and were additionally boosted by the construction of Cargo City South. Thanks to the forward-looking and ongoing expansion of the airport’s infrastructure, Frankfurt Airport has today become Germany’s largest and busiest airport. Moreover, it is also a driving force for the local and national economy and plays an important role as a job engine. 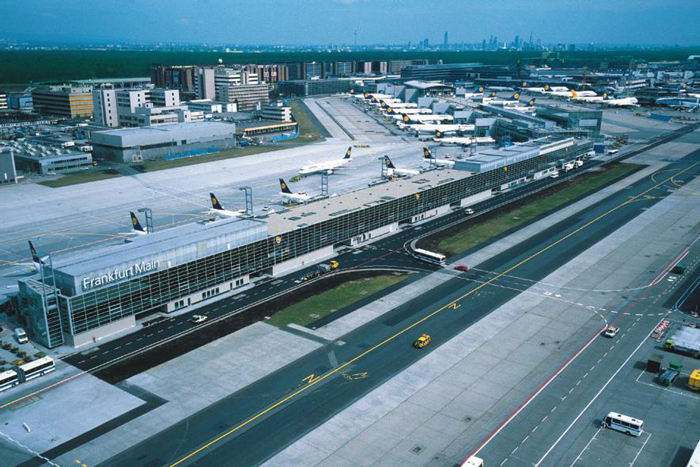 Today, more than 80,000 people are employed at Frankfurt Airport, making it the biggest workplace in Germany. The ground-breaking ceremony for the future Terminal 3 was held in October 2015. Thus, the airport continues to adapt its infrastructure to future traffic growth.